By leveraging blockchain technology power, Covalent.ai plans to build a decentralized privacy-protected computing platform and protocol. The platform will be able to analyse and extract specific information from data while in same time making sure the three privacy of the data is not compromised in anyway. This will help data owner to fully stay in control of the own data via the Covalent.ai protocol and it will also give them the right and power to specify the specific piece of data to be shared and with whom. Covalent protocol (COVA) is implemented with 7 layers. This layer enables a secured offline processing, encoding, and encryption of data by the data owner on their personal computers. The processing stage involves the scaling of a sensitive dataset with a vector v and thereafter, with data owner's specified permission policies, the data is encoded into the Covalent Smart Data format. On finishing the whole procedure of processing, encoding, and encryption of data, the encryption key K as well as other sensitive secrets like the vector v, is broken down by DApp into a specified number of pieces called N pieces. When the break down is complete, the metadata is logged to layer two called the data catalog blockchain by the DApp and the after sends the 100 secret parts (assuming N pieces above was taken to be 100) to 100 routing nodes via encrypted channels. The layer 2 (Data catalog blockchain) is the decentralized ledger holding the metadata of the datasets. The ledger metadata can be updated by only approved parties (In most cases, generally, data owner or TEE) but however, they cannot delete the entry. Check the link below to see a complete and thorough overview of the 7 layers. The Covalent protocol has some outlined real life use case. 1. Applicable in medical field. Covalent developed a DApp, called Medata, on top of the Covalent protocol. The use case of the DApp (Medata) is to acts as a marketplace for medical data. By this DApp, patients will have the power to specify the data they are willing to share and it also gives the patient the power to determine how he/she wants the data to be used. It protects the identity of the patient by anonymizing or aggregating the selected relevant patient data when requested for by a researcher. This act is to ensure that the values of the dataset can not be traced back to any individual. Shared Credit card information online can be abused by a company with whom you shared it. they may decide to re-use or in worst case probably re-sell the credit card information without your permission. By utilizing smart policies, the Covalent have provided a solution to this problem. The Protocol can enforce that the credit card details can only be charged/used once and thereafter, the details be wiped off the server after a complete payment has taken place. 3. Another area where the Covalent protocol can be applied is the area of Scarcity of goods. 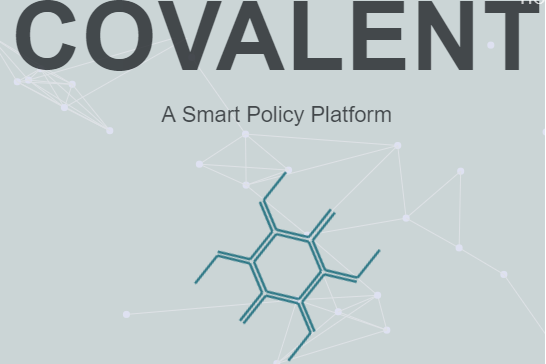 With Covalent protocol, you can set a smart data policy to track and determine the amount of time you want any of your digital assets to be shared. Assume you have a digital asset to be shared for only 100 times, you can set a policy to automatically block the sharing option when the the set limit for sharing has been reached. Ongoing and Upcoming COVA Events. It's an opportunity for the people of Vietnam to meet with the COVA team live as they will be hosting a meetup in Vietnam in the City of Ho Chi Minh, and they have made an open invitation to their fans therein please join them. According to a post made recently on the official handle of Covalent, it was said that COVA will be having a meetup in Istanbul on the 24th of September 2018. Although the purpose of the meetup nor the topics to be discussed was not publicly stated but I think as we draw neigh to the day, more details will be made known publicly. The Covalent are inviting developers to join their private testnet (http://protocol.covalent.ai/). If you seek to know more about the testnet or you are willing to participate in it, kindly fill out the form linked below and the team will be in touch with you. To stay update with this project follow them on thier social media platforms below.